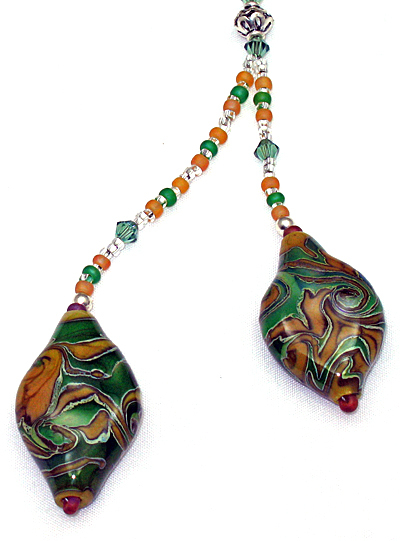 The two handmade beads in this necklace start with yellow-ocher glass and a special glass that is high in silver content. Cutting and twisting the molten glass as it is shaped results in very fine detail as these glasses interact and blend. 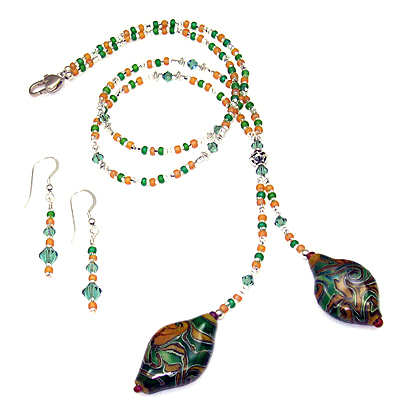 The necklace is strung with Czech seed beads, sterling silver beads, and Swavorski crystals.